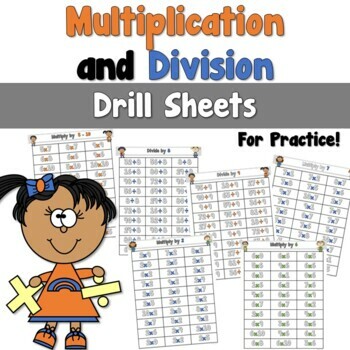 No pencils or wasted paper needed for these Multiplication and Division Fact Drills! Here is an upgraded version of flashcards. Just print and practice! Use over and over each year. 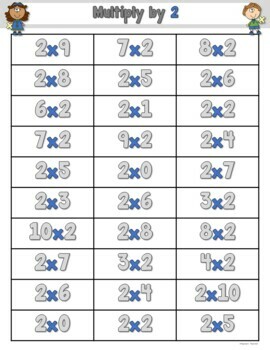 Use to practice multiplication and division facts 1-10 with your own child at home, for tutoring, or for a math center, or as partner work in your classroom. Each math fact is separated by factors or dividends. There are a few sheets of facts mixed together. A Fact Table to help practice facts. Take a peek at the preview for what the Fact Drill pages look like. Students should be able to complete all 30 facts on a sheet in 1 or 2 minutes. 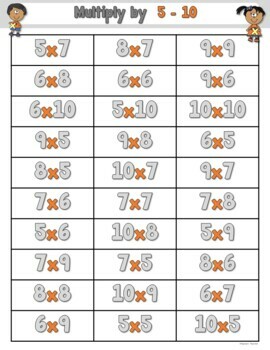 Students can keep track of their progress by using the tracking sheets. 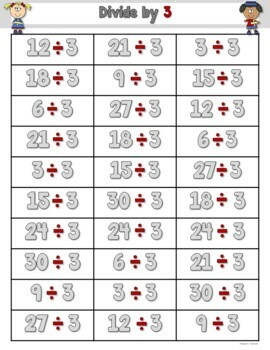 If you have a mixed level of learners, or for your own children at home that need practice with their multiplication and division facts, then this is for you! Purchase of this unit entitles the purchaser the right to reproduce this pack for ONE classroom use only. If you plan on sharing with others, please purchase an additional license.